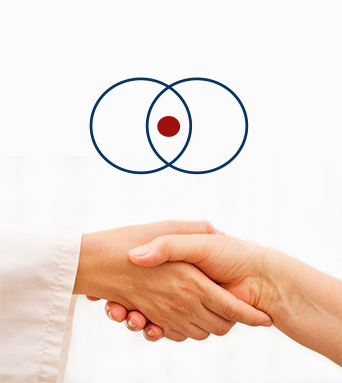 With our expertise, ZellNet strives to make your Elispot experience successful, outstanding, and enjoyable. Our unsurpassed customer service is ready to assist you. Starting with the setup of experiments to the final evaluation of plates and statistical analysis of results, from experimental design of research projects to establishing qualification and validation plans for Elispot – ZellNet provides help when and where you need it. 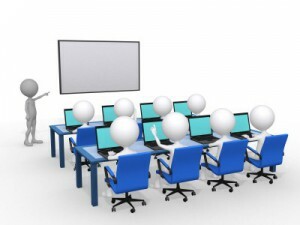 We are able to come to your lab to conduct a wet workshop following your experimental requirements and environment to get you started like a Pro. 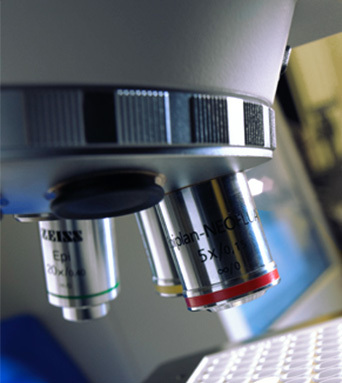 Looking to outsource your assay, maybe also sample handling, preparation and storage? We can help you in your task. Don’t want to buy an expensive Elispot reader system? 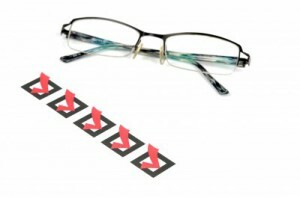 Would you prefer to have your samples evaluated in a blinded fashion, removing all the hassles of potential bias as well as of establishing a qualified plate reading SOP in your lab? No time for efficient training, updates and upgrades? ZellNet specializes in superior plate reading services for any Elispot and Fluorospot assay and plate format since 1998. Our expert consulting services cover all aspects of Elispot, including trouble shooting, review of protocol, guidance for establishing your SOP, standardization and validation procedures and guidelines, setup for clinical trial immune monitoring, certification services, evaluation of plates, training procedures, setup and performance of proficiency panels, GLP compliance, review of clinical immune monitoring data before submission, guidance in outsourcing your Elispot testing, and more. Well images can be used for publication, demonstration and presentation purposes. Per request, we can also provide high resolution well images for re-evaluation purposes. Evaluation costs for dual-color plates: $85.00 per plate (non-fluorescent) and $85.00 for fluorescent plates. 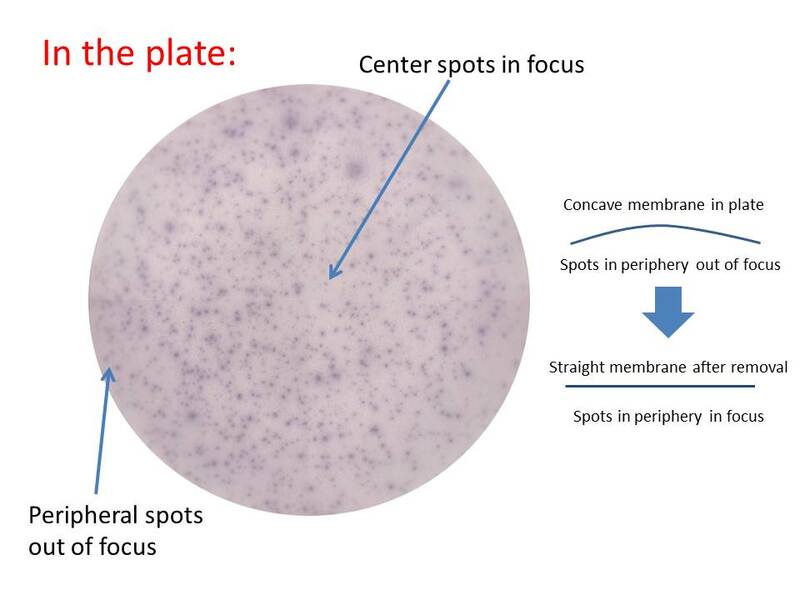 Dual-colored plates (enzymatic) will be read 3x (e.g., red, blue and purple [= double-stained] spots). We also evaluate triple color fluorescent plates (providing the read-out for 7 sub-populations: 3 single secretors, 3 dual secretors, 1 triple secretor). Category B* plates: an additional fee of $25.00 per plate applies. For highest accuracy, we recommend to remove the membranes from old format Elispot plates (e.g., MAIP or MAHA plates) and transfer them onto sealing tape. 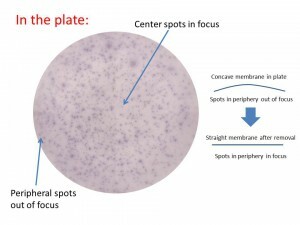 This assures that membranes are completely flat and therefore perfectly focused during evaluation (The older plates give membranes room to expand. This leads to concave membranes, with their center being elevated in comparison to the well periphery.). Newer plates (e.g., MSIP or MSHA plates) do not require membrane removal for straightening of membranes. Membrane removal also offers a convenient storage solution. ZellNet offers a membrane removal service for a nominal fee; or an easy to use membrane removal device (see next service item). It assures the straightening of the concave well surface of older format Elispot plates (MAIP, MAHA) for accurate and focused evaluation of Elispot plates. 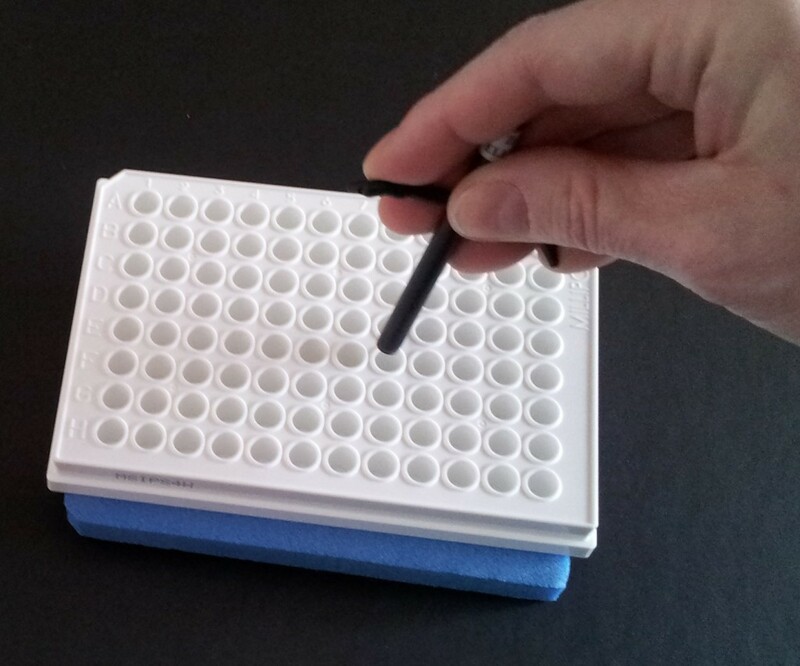 It offers an easy storage solution for Elispot plates. Order Information: This item has been discontinued due to the improvement in membrane flatness in HTS Elispot plates. We analyze your Elispot data for positivity. 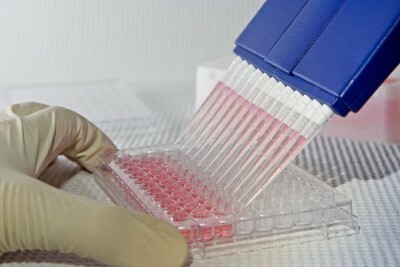 If more than one antigen are used, the analysis is done with a permutation-based method that takes into account that normal distribution of Elispot data cannot be assumed under commonly used setup conditions of the assay . The method has been shown to control the false positive rate while having superb sensitivity. 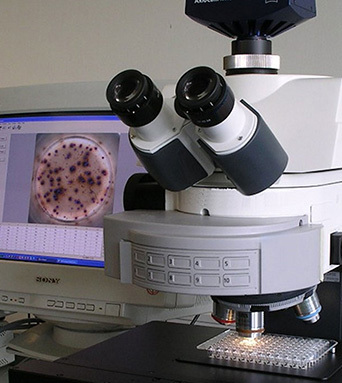 For positivity testing of results from assays testing just one antigen, the appropriate tests are applied. Operator-dependent variability of Elispot reading results is a known phenomenon, and has been described. ZellNet offers a service to certify proficiency in Elispot plate evaluation. Such certification should be periodically pursued for each scientist in a laboratory running its own plate evaluation. This service is independent of the Elispot reader used in-house. Simply send your plate(s) in for re-evaluation. Specify the request for certification. Also, provide your reading results and, if feasible, setup information of your plate(s), if you wish to obtain statistical analysis of the comparison of both reading results. We will perform an extensive evaluation of the plate including auditing of all wells, spot appearance, analysis of artifacts and any problems observed (if necessary) and provide a detailed report. design of a strategy for assay standardization and validation as well as for training guidelines. Do you have an (older) Zeiss Elispot Reader? ZellNet offers help in upgrading and configuring your Zeiss Elispot Reader including set-up for Fluorospot evaluation. We provide training and support (hardware & software) for Zeiss Elispot Reader use. If you don’t use your Zeiss Elispot Reader anymore, please contact us for choices including buy-back options.